The Love Awakening is an extension of The Rodan Foundation, a spiritual center founded in 1981 by Rev. Clarke Carraway. Through the Metaphysical Church of Enlightenment and ongoing activities, The Rodan Foundation provides uncompromising revelation to fuel awakening beings with love, healing and heart awareness. The Love Awakening offers self-empowerment tools and courses designed to help you awaken and reclaim your personal power through living positive life frequencies. We actively participate in living the power of love by extending volunteer efforts to support the people and environment in our local and greater community. 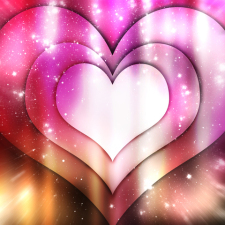 Our mission is to assist humanity in awakening to the power of love AND lovingly assist humanity in awakening. Our intention is to help others help themselves awaken to who they truly are and to choose to use their powers for the greater good. Our vision is the collective awakening of humanity, bringing forth harmony and unity for all. Join us as we learn and grow in the ways of living love and loving life! First, the second part of that title isn't true. You either forgot who love you, or need to find more people who do. Gather a "praise pile" - Ideally you'll want to do this before you're in a downer - it serves as a life preserver when you're in the "eye of the storm". So when I feel like I'm not being cared about, I take a quick look at the "praise pile" and put what's happening in perspective; others have cared about me before, and they will again. And perhaps more importantly, by realizing this, I care about myself. This is a process and never happens immediately. One can't instantly "snap out of it". It "takes time", as the trite-but-true saying goes. But oh, how true it is. Give up on something worth dropping - Burdens are bedfellows with loneliness. Some people who'd like to have more of a social life are crushed by the rat race, or their own compounded fears which hold them back. By dropping what I often call "slop" (waste unnecessary to your enjoyment of life), it frees you to take on more meaningful things (keep reading!). Less worry means more freedom to self-explore and pursue interests. Why does this sound so obvious? Because it is. But it may be only during time of emotional inner turbulence that you can summon the strength to unchain yourself. Don’t overthink – that makes it worse. If you watched the recent Olympics in Beijing, notice how many top athletes (gymnasts in particular) have such a fluid momentum that might wonder if they’re thinking consciously at all. As any great performer knows, and as controversial as “muscle memory” may be, repeated practice leads to what’s dubbed “second nature”, or a threshold surpassed in which analyzing evolves to intuition based on past experiences. When you find yourself especially stressed or anxious, those are otherwise-unpleasant moments you can use to your advantage. Especially if you’re crying and in a lot of anguish, determine in a flash what’s worth keeping, and visualize it like this: you are a burning building. If you could rush into yourself and save only a handful of things to take to a new you, what will they be? Write them down, and set the list aside until you feel more rational. Then look at it again, and join your thoughts of the now with what you had felt then. This can be a potent truth-revealing exercise and puts you on the right track. Find something new worth fighting for - By “fight”, I refer not to violence. Rather, I speak of a cause you can champion and stand up for. The “fight” here is versus adversity. Your cause may be a charity that improves other’s lives, or even a campaign to save a TV show. Notice how these purposes require others to get involved – they’re inherently social, and even though you may not think so much about that (and shouldn’t), they’ll lead to you interacting with others, feeling less lonely. Being recognized as a maverick and a leader isn’t a deliberate process you need to set up like a goal. Rather, the goals here are more about the innate satisfaction and happiness you’ll feel. A couple examples from my experiences: when I felt snobs were scaring away novices from enjoying electronic music, I spoke up against them, serving as a pillar of light for new fans. I wrote reviews and guides, increasing techno music’s accessibility. The adulation felt awesome. And more recently in a professional capacity, I’ve connected resources for the virtual world of Second Life, helping our community to have happier experiences. I began as a fan, and came to love what I do (and myself) so much that I ended up working for the company. Growth is like that – you may not know where you’ll precisely end up, but you should always be passionate about growth and know where you want to head. Even if it’s not a single direction, mixing disciplines and skill sets will create a unique fusion that no one else has, and that’s a strong reason to love your uniqueness. Celebrate your similarities and differences - Too many people make the mistake of singling out what’s common or how they’re different. This is defective, too-filtered thinking, because success is neither wholly familiar or alien: it’s both. All of us are humans and subject to emotions. By consequence, all of us have problems – but some of us deal with them more effectively than others. We are all variations on a common theme. If you’re concerned about body image, it’s good for all humans to be healthy. But it’s unachievable to duplicate someone else’s figure. After perusing existing possibilities, you need to do what’s right for you and being inspired by someone isn’t the same as cloning them; it’s taking your hero’s “recipe” and improving a new mix with it. 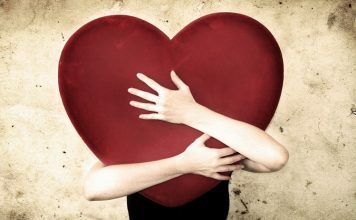 The "I Love Me" Meditation is a simple and profound heart-centered practice of generating your personal frequency of love. It will teach you how to activate your natural capacity to generate and experience love through conscious awareness and conscious choice. This practice helps us to awaken. It encourages personal empowerment, greater self-esteem and self-discovery as we learn practical means of replacing fear and negative frequency with the most powerful force in the universe: Love! Certified teachers of The Love Awakening host the I Love Me Meditation series throughout the San Francisco Bay Area. Each one hour class is $10 and is to be paid at the time of the session. Please contact MaryAnn Gutoff for more detailed information: (650) 726-2882. Our Bay Area certified teachers also offer free introductory classes. Contact teachers directly for specific dates, additional days and times, presentations at your location, and follow our Facebook page for updates. Upcoming April Activities and Volunteer Events! 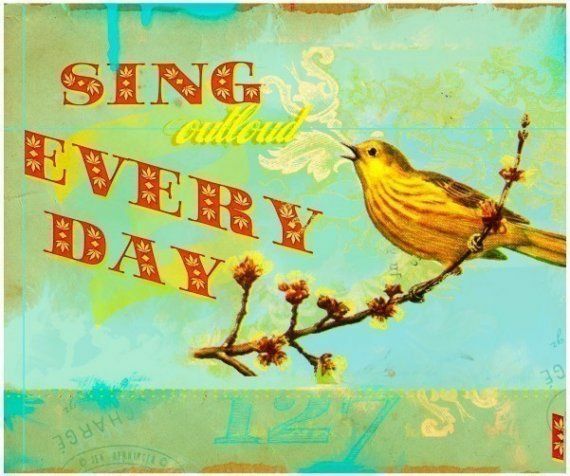 Sunday, April 7th ~ Sing & Share! Join with us as we delight and inspire the elders of our community with lively company, silly joke time, and a fun, oldies-but-goodies sing-along with musical accompaniment. Don't sing well? Don't worry! All you need is a heart full of goodness and a smile. Please come live your love with us and experience the blessing. Adults and children of all ages are welcome. Please join MaryAnn Gutoff, CBP, to let go of what no longer serves you with a simple energetic "unburdening technique" you'll learn in five minutes! We'll use breath, sound, movement, and the wisdom of our higher selves to anchor this process in our neural networks. With practice, it helps us let go of what doesn't match who we are becoming. We'll also spend a little time reviewing the cortices stress reduction technique. This one helps with mental clarity and reduces stress by improving the communication between the left and right brain. Take advantage of the fantastic "I Love Me" Level One classes! They are simple and profound heart centered practices which will teach you how to activate your natural capacity to generate and experience love through conscious awareness and conscious choice. We will learn practical means of replacing fear and negative frequencies with the most powerful force in the universe; Love! Each one-hour class is $10 and is to be paid at the time of the session. Please contact MaryAnn Gutoff to register: (650) 726-2882. Experience a video podcast of Rev. Clarke Carraway's inspired Presentation of Truth. "Like" The Love Awakening on Facebook and join our community. Each month, The Love Awakening highlights precious animals in need of nurturing, care, and a forever loving home. "Hi! I'm Rose. I'm a two year old, spayed pit bull that currently weighs about 44lbs. I'm an active and affectionate girl that loves to hang out with my favorite people! I like to play, fetch and work on my training. I'm always ready for the next adventure! If you are interested in meeting me, just ask for customer service for Rose, my ID# is A826376. 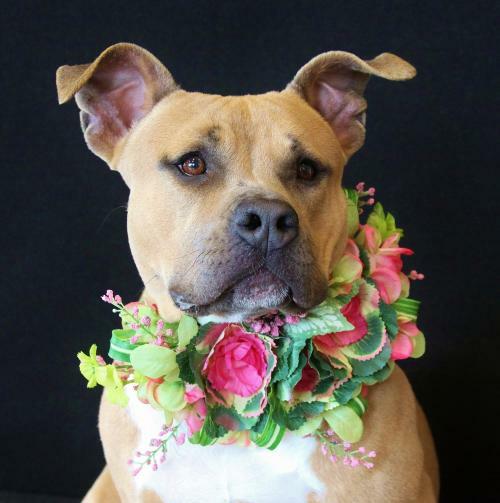 Please ask for Rose at Peninsula Humane Society & SPCA! "Do your work with your whole heart, and you will succeed - there's so little competition."